It's almost an inevitable part of traveling, although in some backpacking circles it is considered almost a dirty word... Partying. 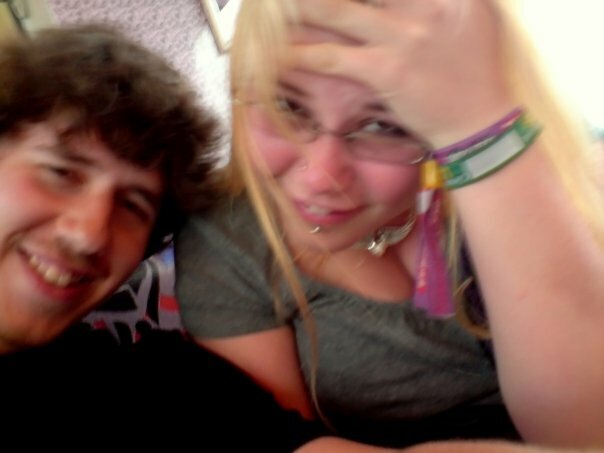 The photo above is from Me and Andy's first stint of traveling, which lasted 2.5 weeks, around Europe. We did alot of drinking in that trip, but much less partying, more hanging out with other travelers, and even if you do party in Europe, you dont feel bad as it is such an ingrained part of our culture in the West (although the big groups of hen/stag nights in Prague did feel abit wrong). However when travelling in developing countries you feel like rich Westerners taking advantage of their home and cultures. There does seem to be a distinct difference in backpackers minds between Backpacking, and ahem "holidaying", which is looked down upon by "seasoned" travelers And part of the difference seems to be to do with how much partying you do. Now I do get the gist of concept as I will, when I leave the UK, consider myself a traveller, and a backpacker, and not a holiday maker. My way of defining the 2 is that a holiday maker will visit one main location, stay for a short time, and not wish to give up some of the creature comforts of home eg hygiene and toilet facilities etc, whilst a traveller will go to a new place to soak up the local culture, will probably stay away from home longer and will visit several places, and not mind so much about the creature comforts. Doubtlessly most people will have heard of Thailand's famous full moon parties. They are held in a crescent shaped bay in Koh Phangan, once a month under the full moon. Its sounds romantic and hippyish (which it was when it started), but nowadays it is really much a rave full of Western drunk tourists. Alot of people try to score drugs there which is inadvisable as Thailand has very strict drug laws (and hefty prison sentences). Im pretty sure the party could be horrific but it is somewhere I have wanted to go for awhile, and plan to do so. There is some good advice here about "surviving" the full moon party. A slightly less well known party spot, but pretty big on the Banana pancake trail. Basically you get in a rubber tube at the start of the bars/clubs and then tube along the river until you get to the next bar and a barman throws a line out to you and then pulls you in, so you can drink. I was pretty captivated by the idea of this until I found out how many people DIED, yes died there last year, and how if you dont die or get injured from tubing/diving/sliding you can pick up a pretty nasty bacterial infection from the water. So although I want to go I think i'll stick to walking around the town. This is the place I am at the moment most looking forward to. It is beautiful and tiny, with no cars or motorbikes allowed, so peaceful! It does look like paradise! So there you have my top 3 party destinations! Im sure many more will crop up on my way round the world!